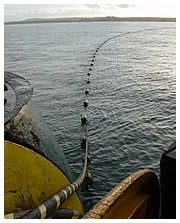 As the Hawaii Public Utilities Commission continues to study the feasibility of a proposed high-voltage undersea cable between Maui and Oahu, the position of two major players in that project appears to be shifting in light of the announced multibillion-dollar absorption of Hawaiian Electric Industries by Florida-based NextEra Energy. Maui News. Opinion: Since Florida-based NextEra Energy announced it will buy Hawaiian Electric for $4.3 billion, many public officials have hoped the new owner will better HEI's dismal record on reducing fossil fuels and cutting rates. Our leaders can do more than hope. Star-Advertiser. The Office of Hawaiian Affairs is fighting back in court against a ruling that found the Board of Trustees in violation of the state's open-meeting law in two instances involving a dispute over the conduct of CEO Kamana‘opono Crabbe. Star-Advertiser. A new report released today shows the use of electronic cigarettes among teens is growing in Hawai‘i. The study, coming out of the University of Hawai‘i Cancer Center, shows adolescents are smoking e-cigarettes three times the national average. Hawaii Public Radio. Opinion: Are E-cigs Creating the Next Generation of Smokers? Civil Beat. The U.S. Congress may soon be controlled by Republicans, but Hawaii’s Democrats in the Senate have secured important committee assignments that begin early next year. Civil Beat. President Barack Obama and his family plan to leave Washington, D.C., on Dec. 19 for their annual Christmas vacation in Hawaii. Pacific Business News. The governor is appointing an executive at Hawaii’s largest health care provider to be the director of the state Department of Health. Gov. David Ige on Friday announced the appointment of Dr. Virginia “Ginny” Pressler. Her appointment is subject to state Senate confirmation. Associated Press. More than 600 public-sector employees will be attending the Hawaii Digital Government Summit. Associated Press. Monday is the deadline for Hawaii residents to enroll with the Hawaii Health Connector for coverage taking effect on Thursday, Jan. 1, 2015. You can change your plan at any time during their open enrollment period that runs through Feb. 15, 2015. However, if you change your plan after Monday, Dec. 15, your new plan coverage will take effect on the first of the following month. KHON2. Two Oahu churches being sued for allegedly underpaying the state Department of Education for using school facilities for religious services are appealing a state judge's refusal to throw out the lawsuit. Star-Advertiser. Deputy Prosecutor Katherine Kealoha, wife of the Honolulu chief of police, has fired another volley in a legal dispute involving her family. Star-Advertiser. The U.S. Navy does not agree that double-lining massive tanks at the Red Hill Fuel Storage Facility is the best way to prevent groundwater contamination. Associated Press. Gas prices dipped below $3 a gallon in some parts of Oahu for the first time in seven years. But the state still has the highest gas prices in the nation, followed by Alaska and New York. Star-Advertiser. Commentary: The Little Solution to the Big Housing Crisis. On islands where real estate is so precious, how small do we need to think to bring down the cost of living? Civil Beat. Changes to the size limit for commercial ahi is in the works. State and federal fisheries regulators seeking comment on raising the minimum size of ahi from 3 pounds — along with other rule changes — took input from about two dozen commercial fishermen in Kailua-Kona on Saturday. West Hawaii Today. Hawai'i County Civil Defense officials say the Puna lava flow advanced east-northeast another 300 yards since Saturday and is now 1.4 miles from the Highway 130 and Pahoa Village Road intersection. Hawaii News Now. Burglaries, car break-ins and stolen vehicles all fell in November in Hawaii island's Puna district after invading lava prompted Mayor Billy Kenoi to declare a state of emergency that includes increased penalties for some crimes committed there. Star-Advertiser. A historic piece of Volcano Village is for sale. Kilauea Lodge, a landmark hotel and restaurant that was originally a YMCA camp, was put on the market recently with an asking price of $5.9 million. Tribune-Herald. Former Maui County Council candidate Ka'ala Buenconsejo has been appointed as the county's new Department of Parks and Recreation director. Maui News. Marine biologist Katherine Muzik has been given the green light for a reef restoration pilot project along a dredged area of reef in Kapaa. Garden Island. Opinion: Four years. That’s a long time to wait for the cavalry to come to your rescue. But that’s how long it took the Hawaii Office of Information Practices to rule when I sought its help obtaining public records in 2010 after being stonewalled by government officials on Kauai. Civil Beat.